If we told you that we all make some mistakes in the kitchen when it comes to design and decor, you may not believe us. But when you examine our homify list of common mistakes, you may have to admit that you are guilty of at least one of them! Fortunately, we have a range of experts and professionals who have taught us how to take advantage of the space available in the best possible way. 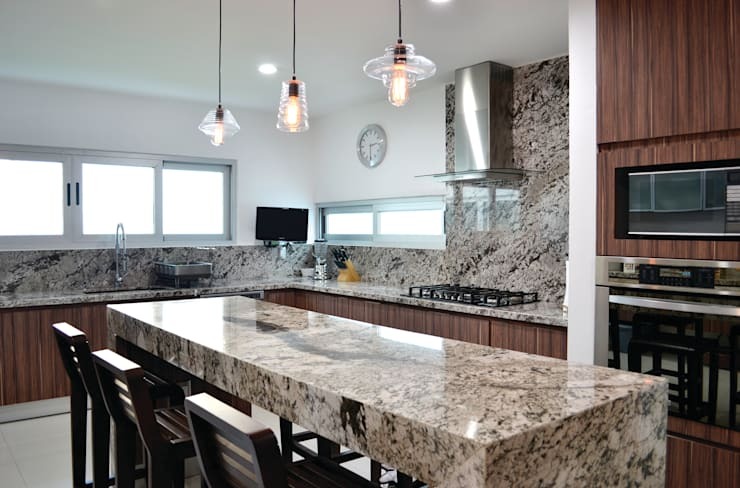 If you read the below article, you will get a clear idea of how you can really make the most of every inch of your kitchen space. You'll also learn some tips and tricks you never knew before! We pay close attention to the cabinets, walls and accessories, but we may be missing an important element: the floor! By not considering the floor, you may run the risk of ruining the overall look and feel of your kitchen. Choose a gorgeous and durable floor right from the get go. We all get excited to try and mix and match colours, but some simply don't work together. Before you get to work, carefully select a chromatic palette for this space. Ask for samples and place colours side by side to see if they look good. 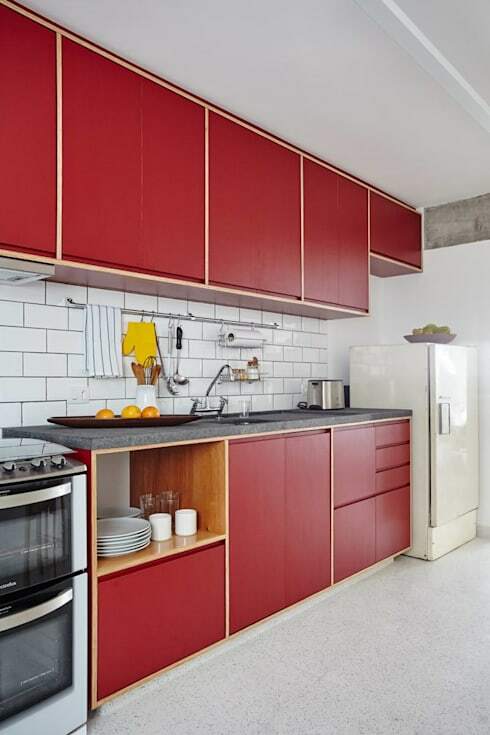 Also consider where and how you'll use colours such as for the cabinets, floors and accessories. Like the floor, the ceiling takes up quite a lot of space so you can't ignore it. Think beyond colours. Also focus on the type of coatings that you use and the lighting. 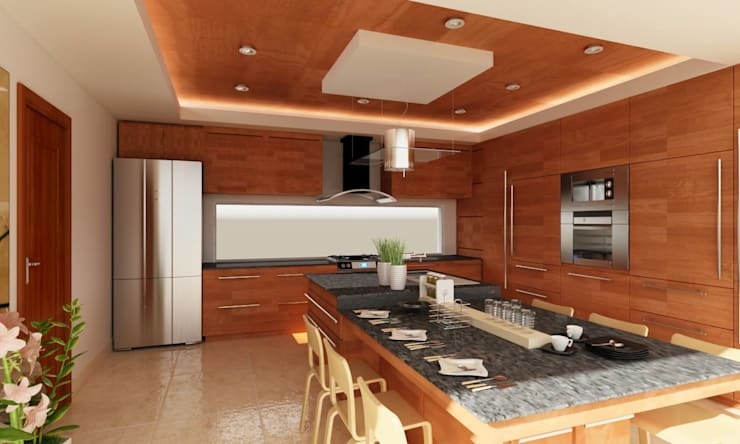 If you only consider the aesthetic features, you will forget that your kitchen space is meant to be functional! Remember that you need to invest in tool holders, drawers, hooks and other functional items. This is key to a modern and convenient space. If you've always wanted a kitchen island, you need to plan for it right from the get go. 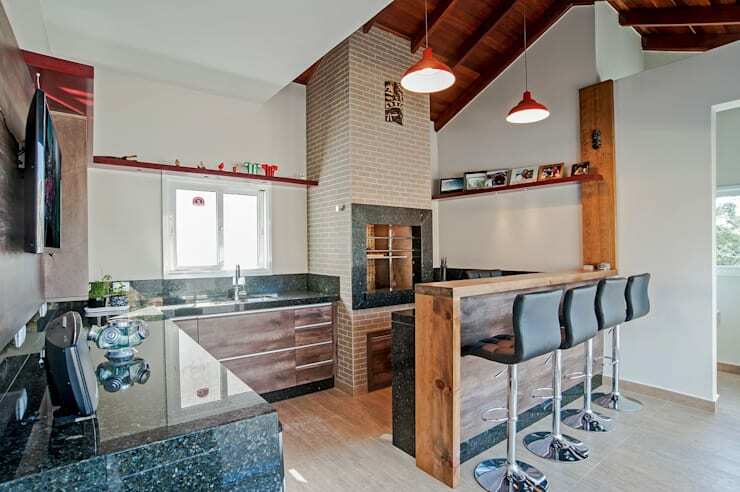 Adding a kitchen island after everything else has been designed and built can throw the design out of harmony and make it seem very out of place. Include it in the original design and it will fit perfectly into the area. While none of us would intentionally choose poor materials, you need to think a little bit more carefully about this. Consider, for example, the costs of a marble counter top. Also see how well the materials will work together. 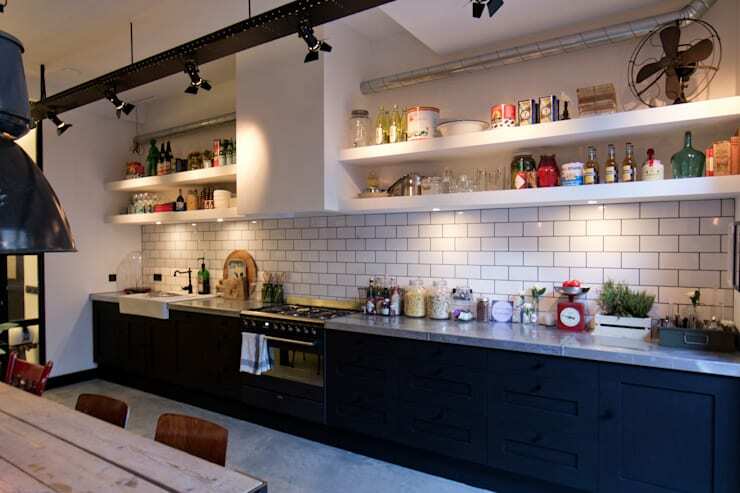 When designing a kitchen, you don't want to lose focus of who frequents this space. 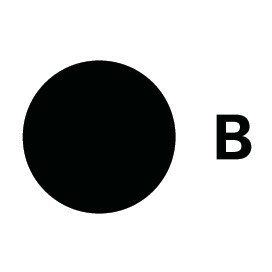 Some elements such as counter height, for example, may need to customized. 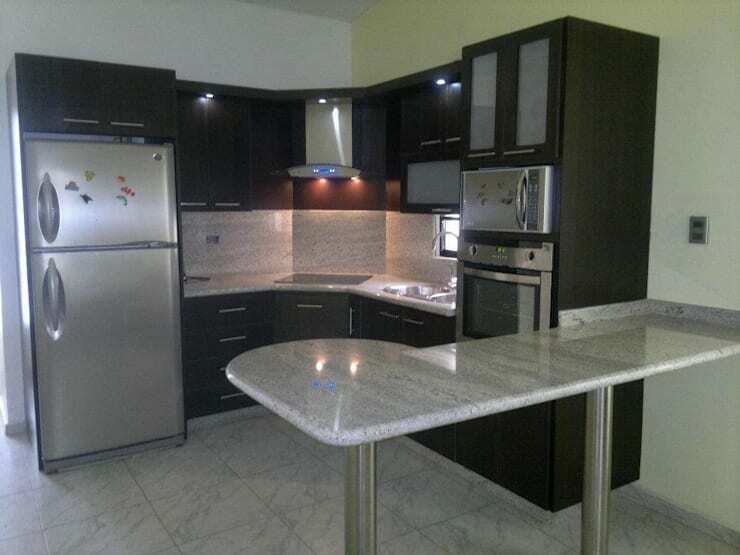 You may also want to consider the type of appliances that you need and what type of cutlery, crockery and accessories your kitchen needs to have. For example, you may need a larger refrigerator or an extra-large oven for baking goods. In modern design, we often choose neutral tones even when we may prefer bolder colours and tones. Don't forget that this is YOUR home, which is why personal touches are essential. Have some fun with the decor! Laying down tiles is a task that looks quite easy, but if they aren't placed right or are of poor quality, the result can be disastrous. 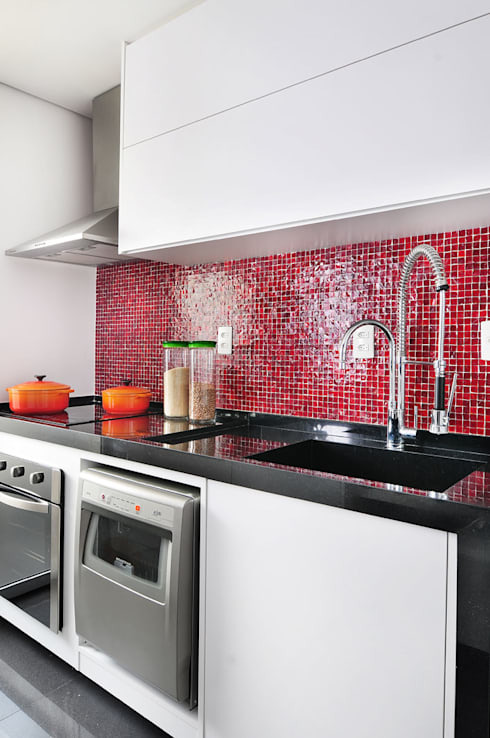 Uneven tiles and crooked lines are common mistakes when it comes to the kitchen space. 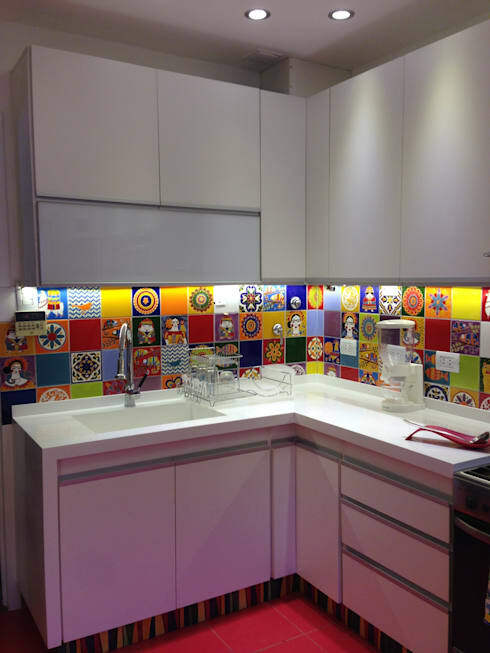 Have a look at this article: What's the right kind of tile for your kitchen? 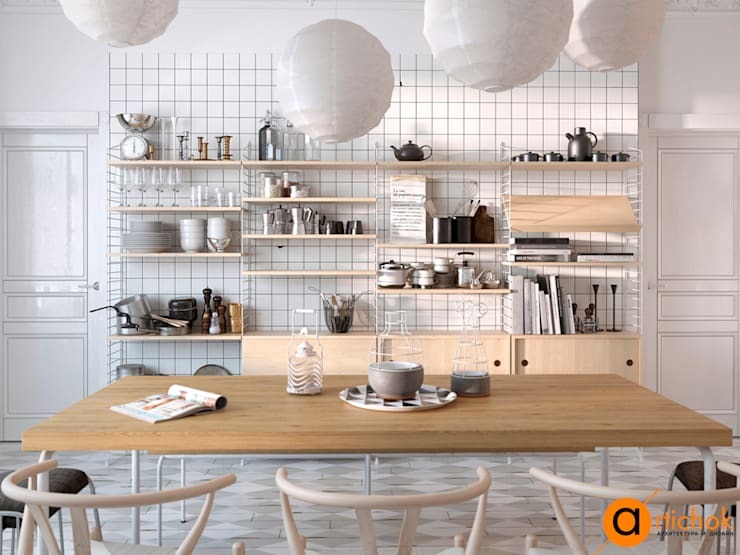 Shelves may seem like an outdated element in a kitchen, but they are so important for the kitchen space. They are lightweight, make the most of vertical space and can really assist when it comes to storage. Have a look at these 8 clever ways to improve storage in your kitchen for inspiration for your own home. Many people think that minimalism is not for them because they have houses full of people, but we don't agree. 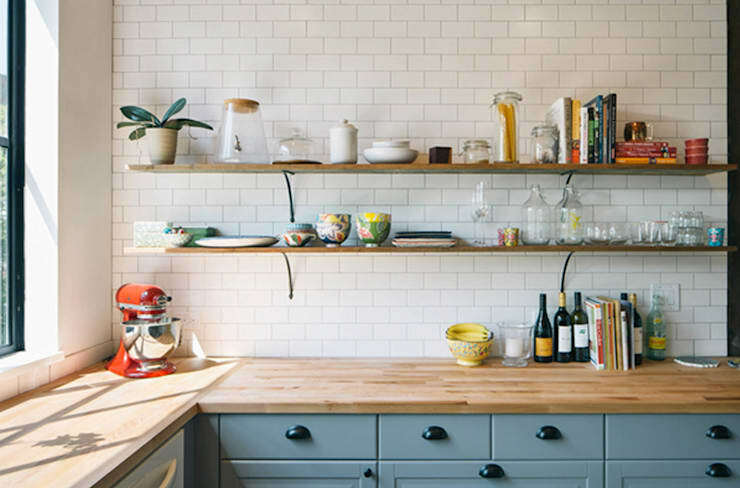 Start small by keeping the counters free from clutter. This will make the space far more inviting to cook in! It will also keep your kitchen looking far more neat and tidy. The biggest mistake of all—and we all do it—is not keeping the kitchen clean. It's not a question of being lazy, but sometimes we don't have enough time and other activities get the better of us. Take your time to regularly clean the kitchen and tidy up. 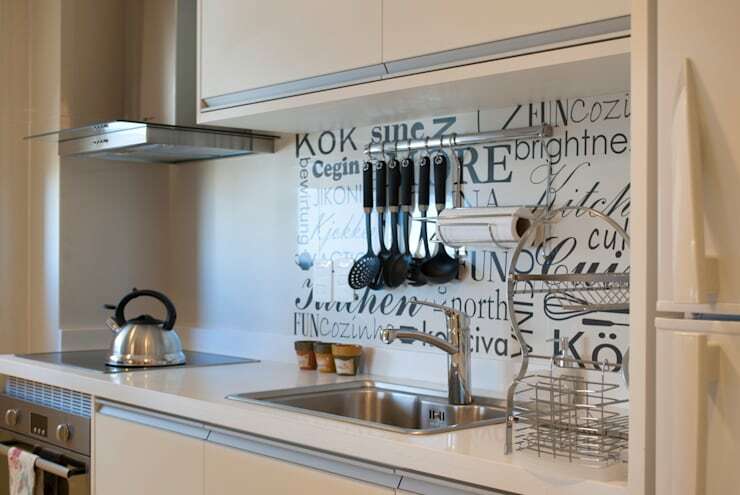 Also have a look at these 6 Big Kitchen Mistakes We All Make. Which mistakes are you guilty of?